Interior Secretary Ryan Zinke announced yesterday a major review of 2015 sage grouse conservation plans. The plans, spanning 70 million acres and 10 Western states, represent an unprecedented compromise between the federal government and states over how to manage public lands to protect the imperiled bird while also allowing for energy development and other uses. Zinke’s new order requires a review to determine whether the Obama-era plans gave states enough say, and whether they inappropriately block extractive industry. Sage grouse on the Coalmont lek outside of Walden, Colorado. Yet the 2015 plans now under review took five years to create and were in fact the product of input from an array of stakeholders, including state officials, ranchers, environmentalists, oil and gas representatives, and federal agencies. 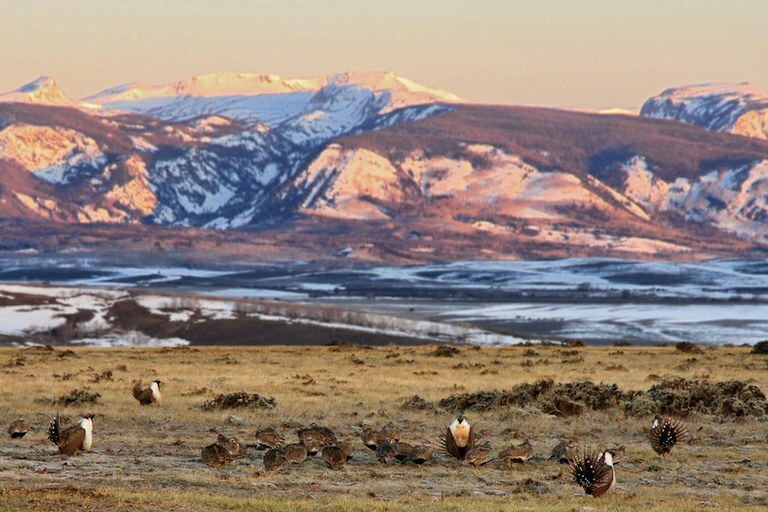 For many stakeholders, the sweeping conservation effort was a way to avoid listing the sage grouse under the Endangered Species Act, which would likely have led to stricter regulations on land use in the bird’s habitat. According to Zinke’s secretarial order, a team of “land managers and other professionals from bureaus and offices, including (Bureau of Land Management, Fish & Wildlife Service, and the U.S. Geological Survey)” is tasked with the review. The group will coordinate with the U.S. Forest Service and state agencies. The secretary has recommended they take “creative approaches” to the sage grouse issue, such as captive breeding and focusing more on population targets rather than habitat management. Federal officials have 60 days to conduct a review and provide Zinke with recommendations regarding the sage grouse plan.